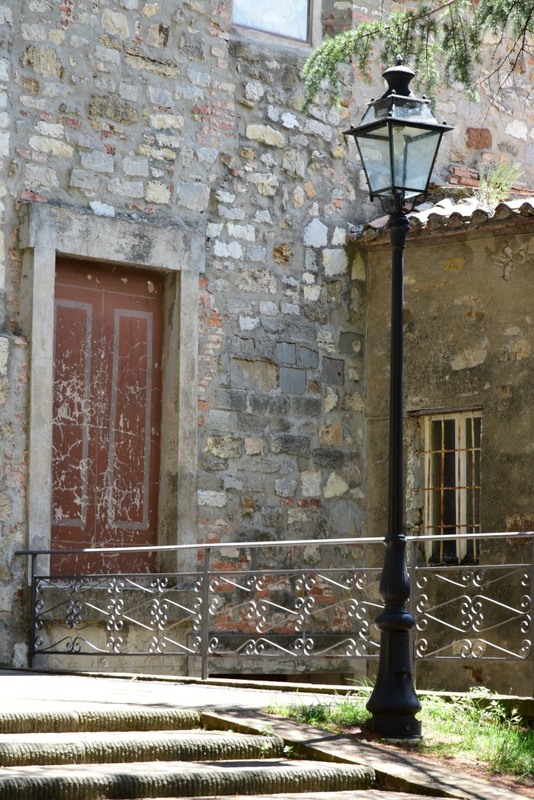 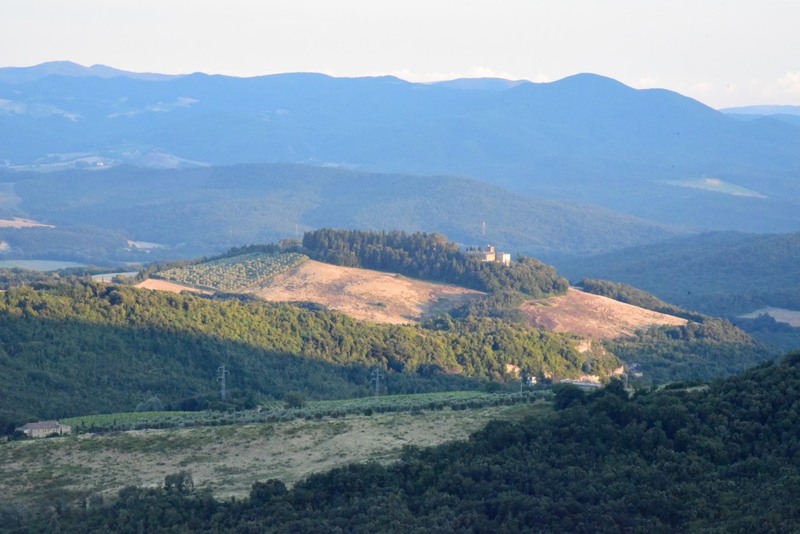 The sun shines brightly this morning, inviting me to walk through the winding alleys of Castelnuovo di Val di Cecina prior to continuing northward along the tortuous serpentine roads that weave through the Colline Metallifere of southern Tuscany. 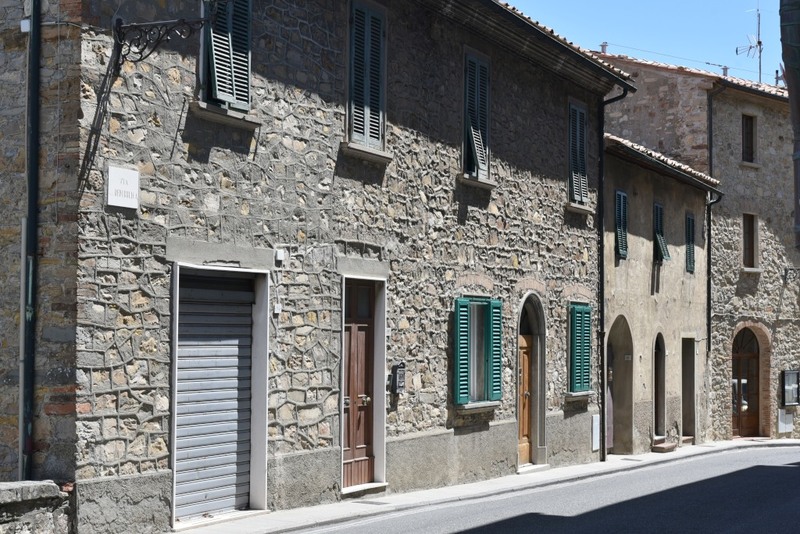 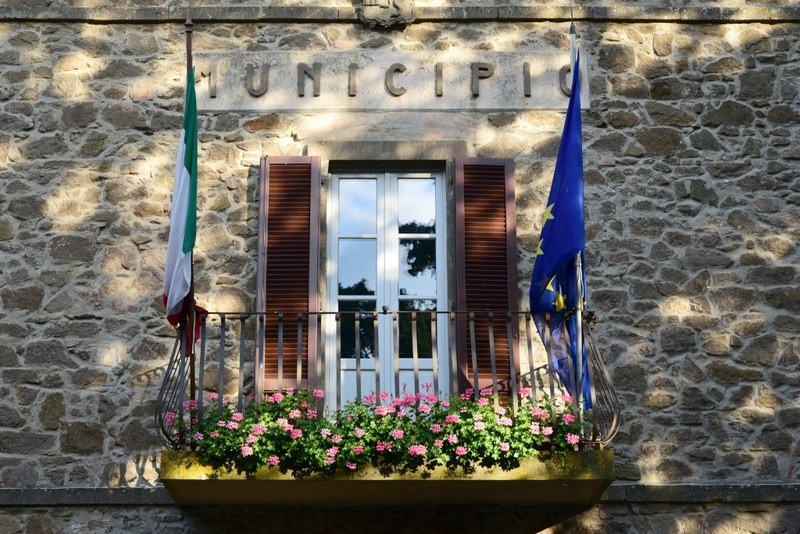 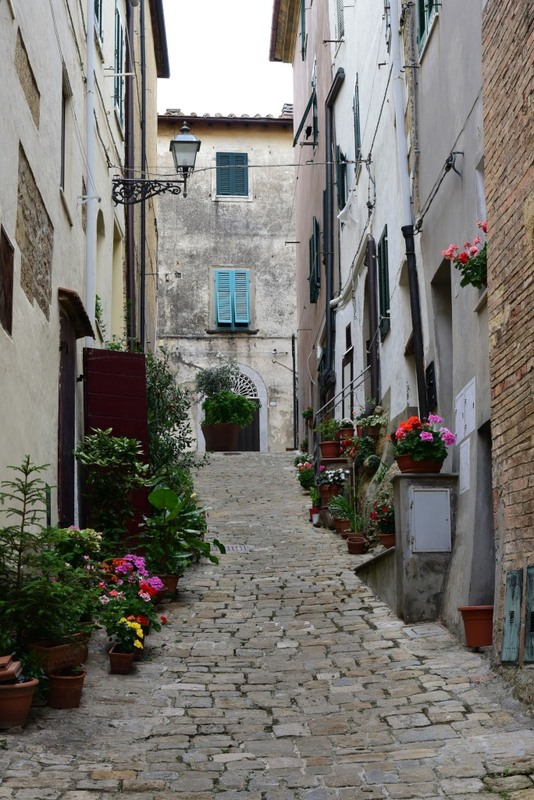 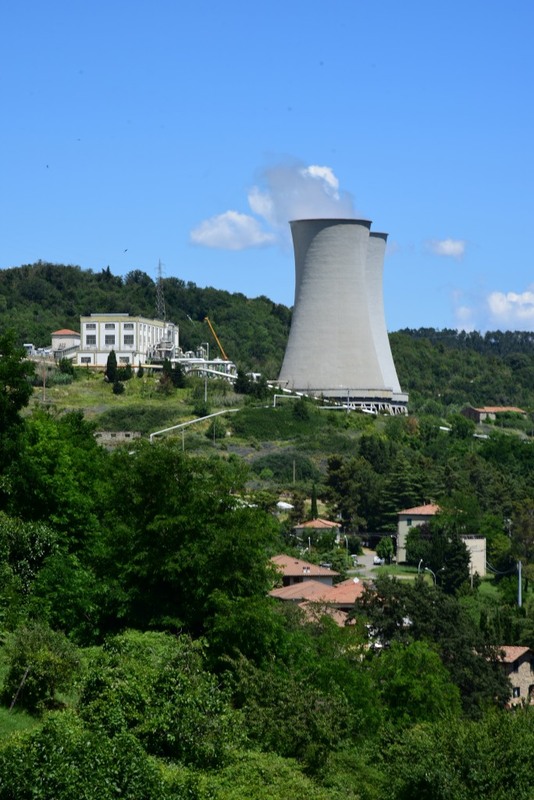 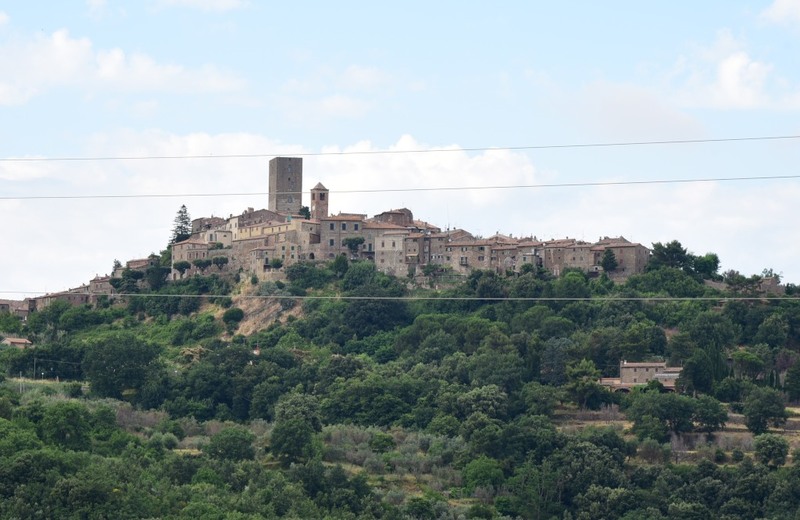 Not far from Castelnuovo di Val di Cecina lies the quaint hill town of Larderello, which happens to single-handedly produce some 10% of the world’s supply of geothermal electricity, amounting to 4,800 GWh per year, powering about a million Italian households. 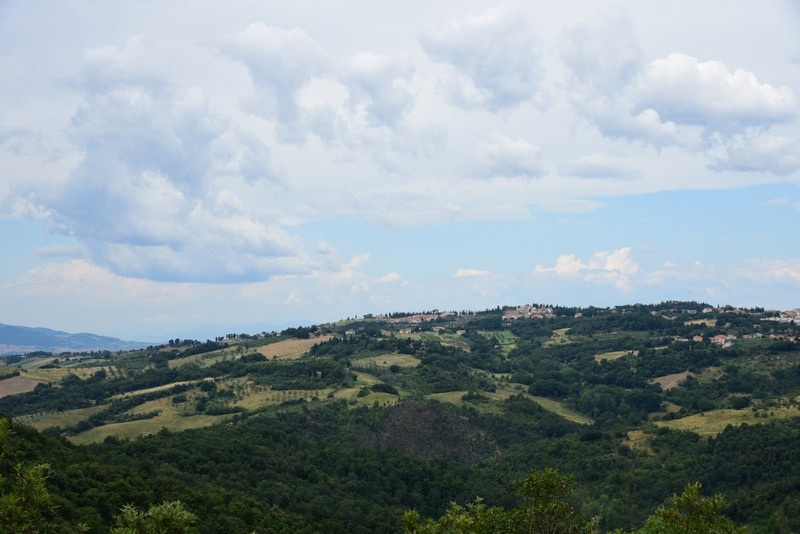 Further to the north, the landscape becomes less mountainous and dramatic, with the likes of Pomarance spreading elegantly over a broad hill. 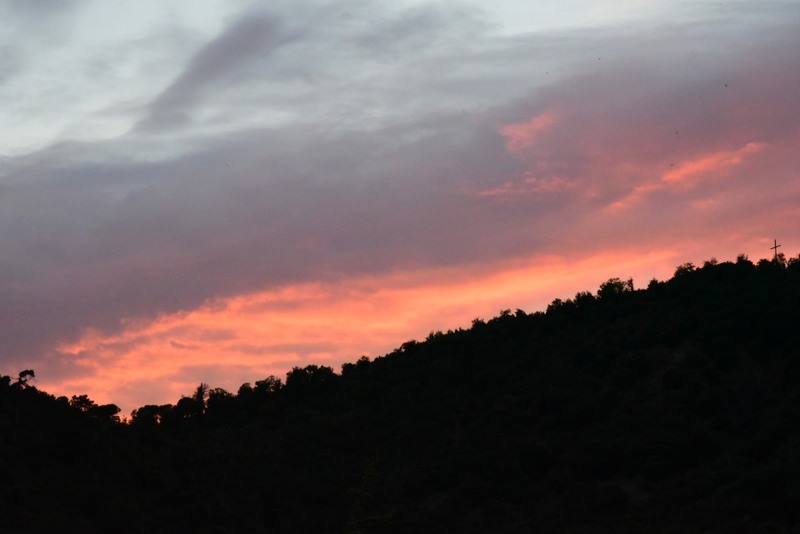 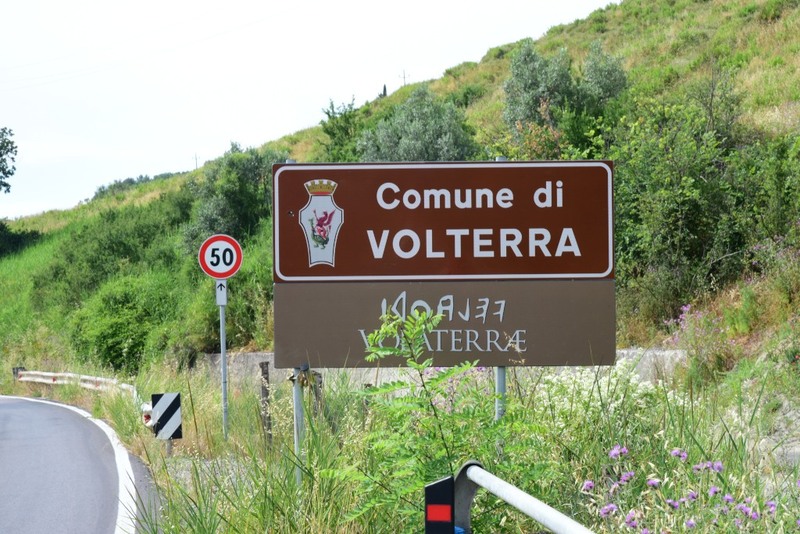 The town is located on the northern fringe of the so-called Devil’s Valley, whose geothermal and volcanic properties inspired Dante’s vision of hell in the Divine Comedy. 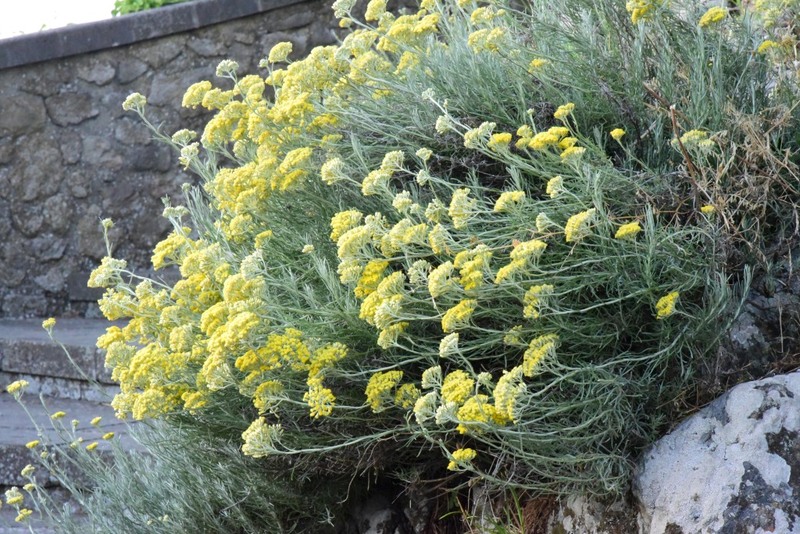 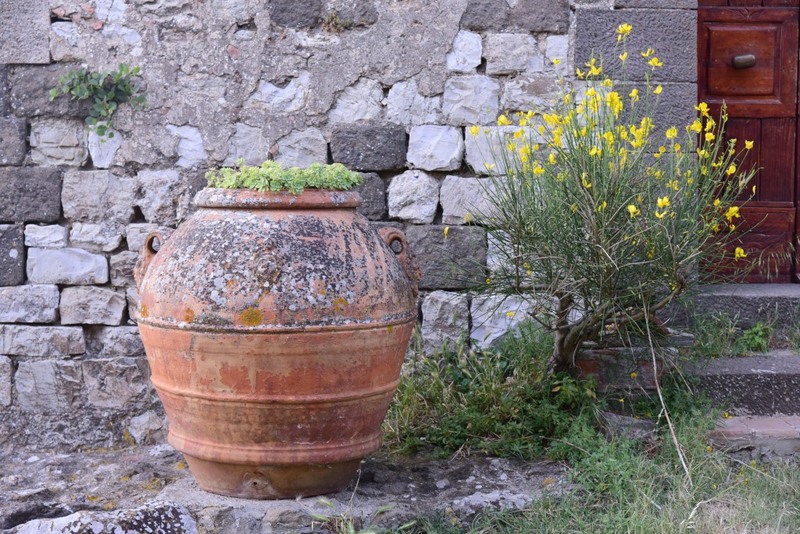 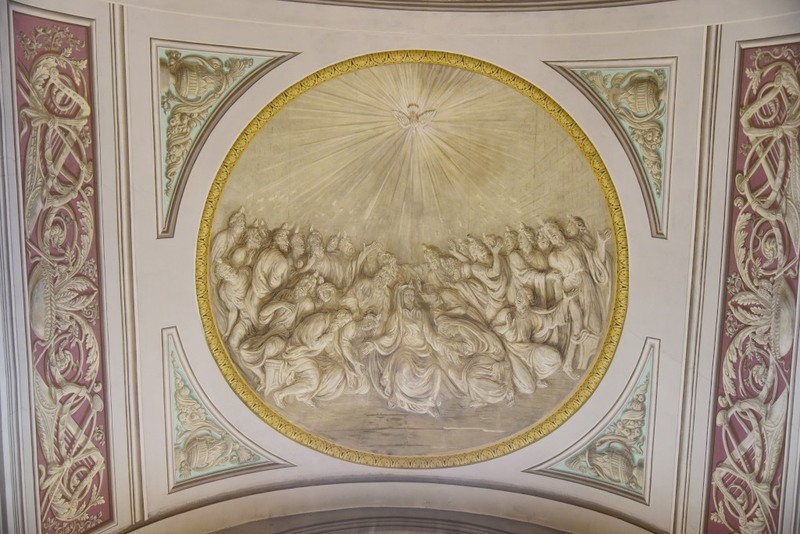 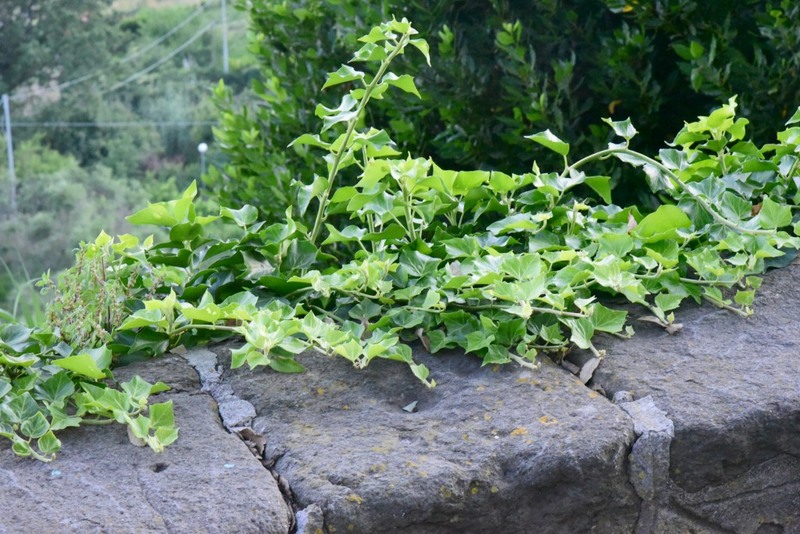 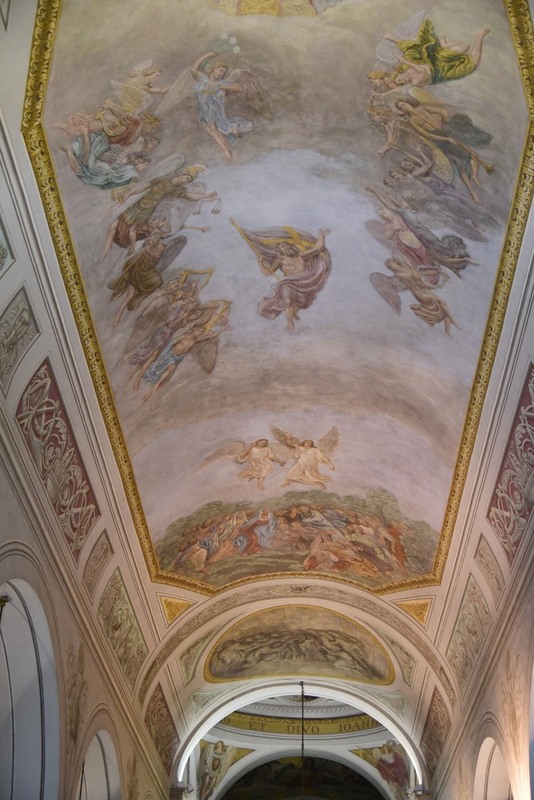 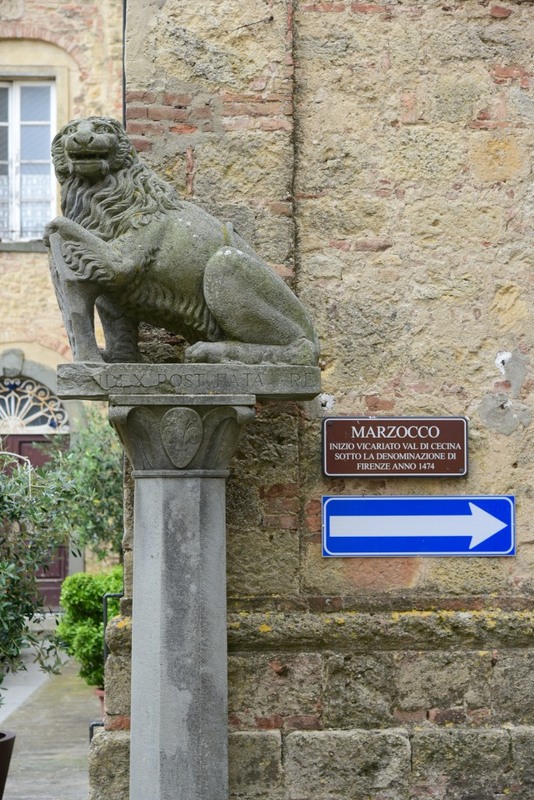 The ancient Romans used the sulfur springs in the area for bathing, and boric acid was extracted from the ground during the 18th and 19th centuries. 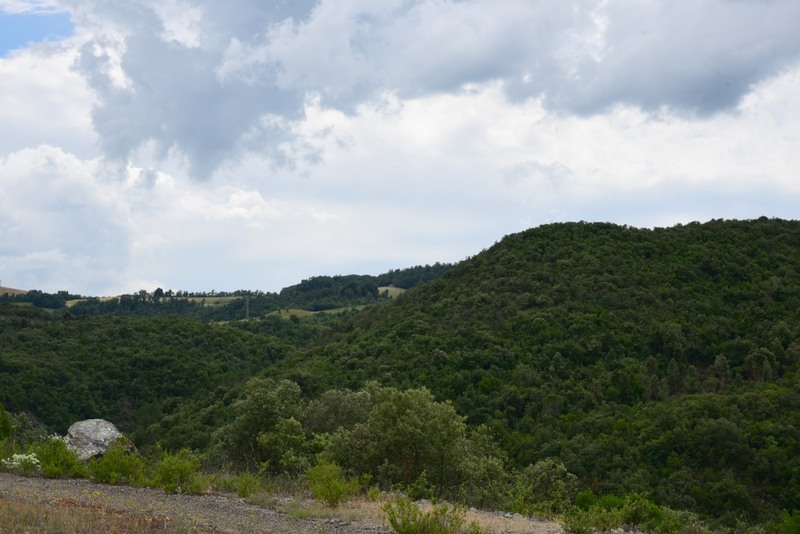 The world’s first geothermal production was begun in the early 20th century, drawing on the high pressure and temperature of water vapour emissions of the ubiquitous fumaroles in the area. 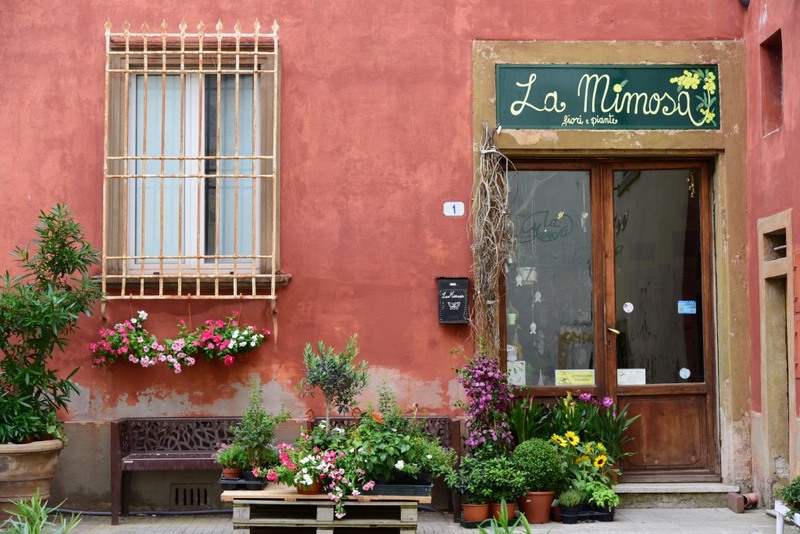 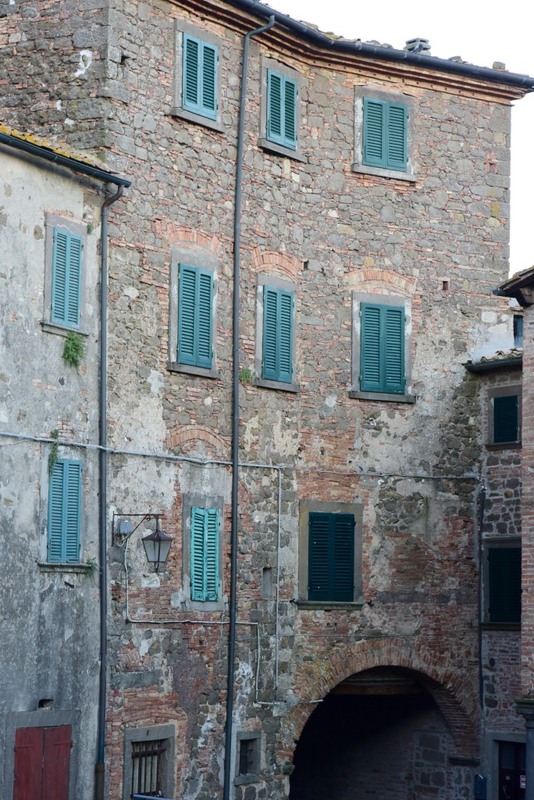 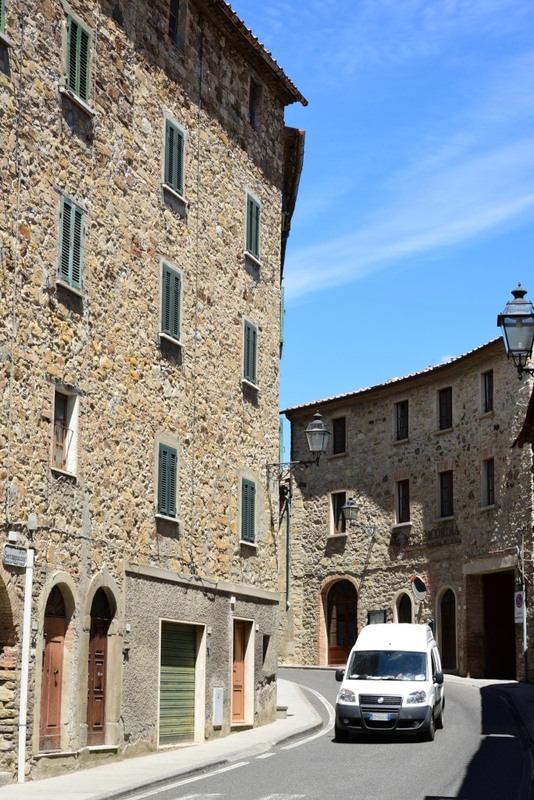 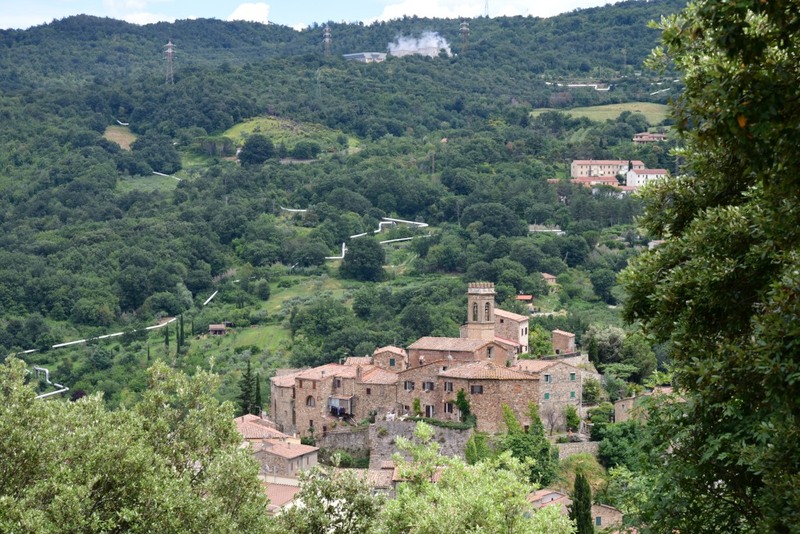 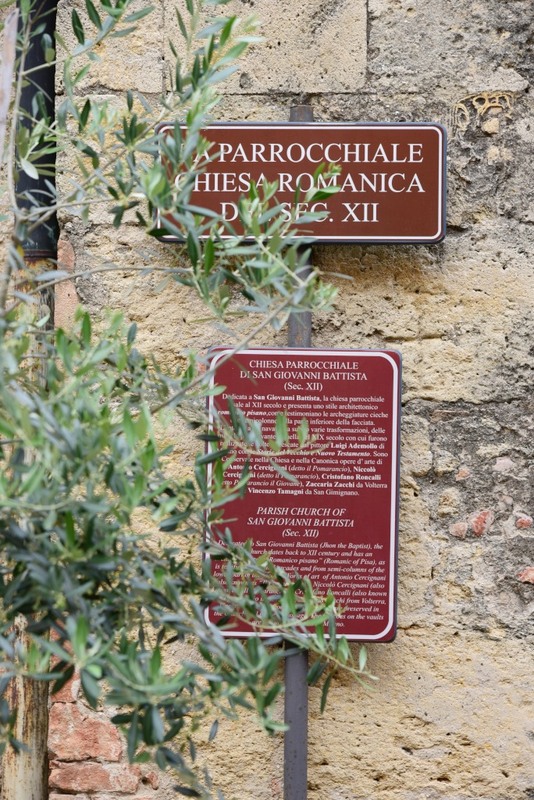 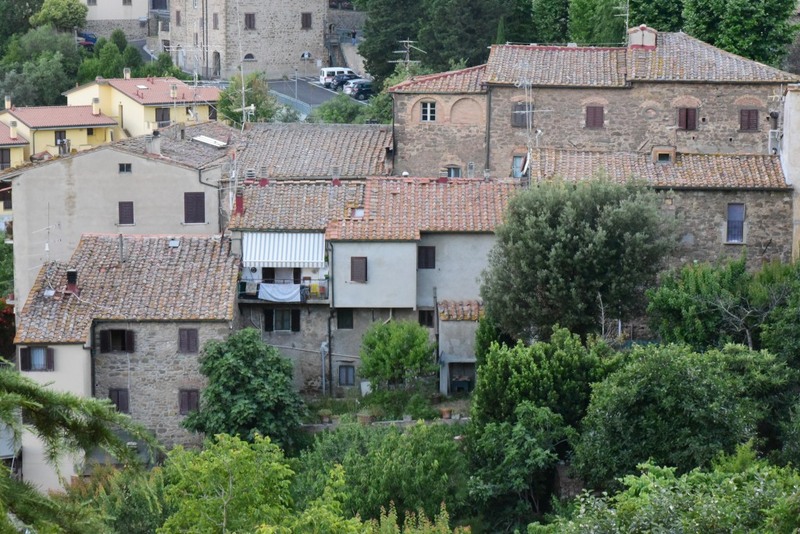 Pomarance may lie a short distance to the south of San Gimignano and Volterra, but has none of its tourist hordes. 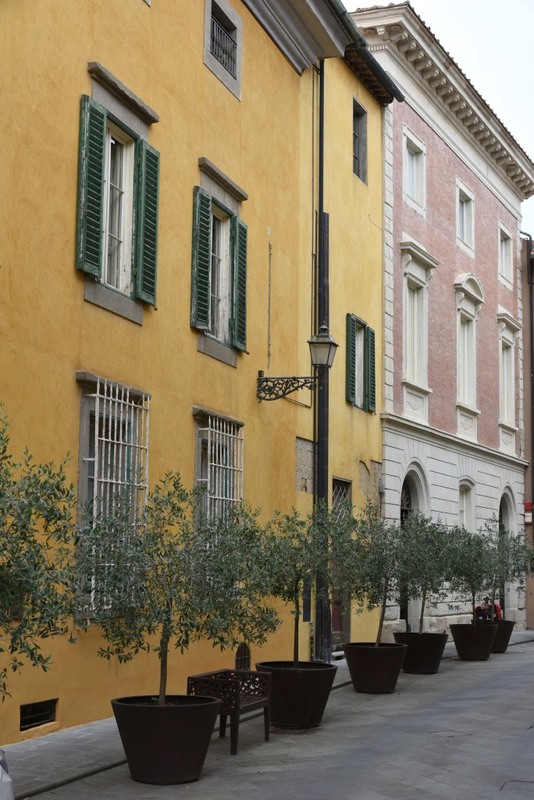 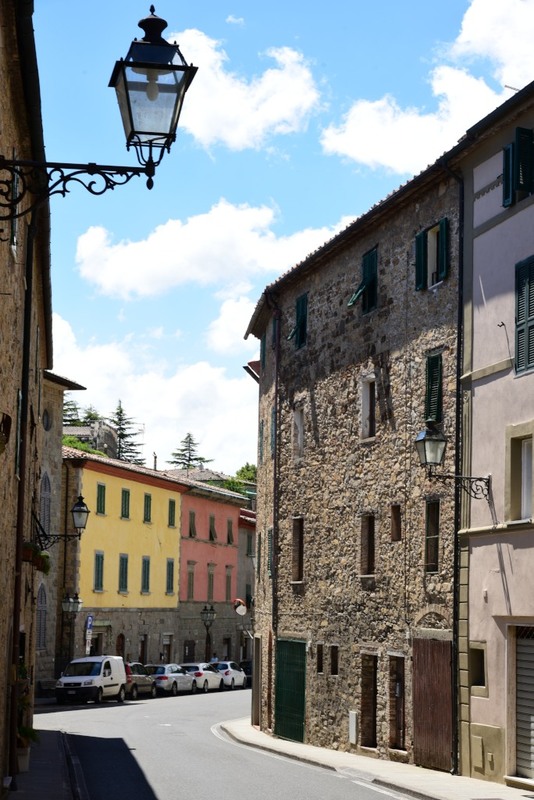 In fact, on this rainy, windy afternoon, the winding, narrow streets of the charming Tuscan town are virtually empty, leaving me alone in admiring the impeccable noble and ecclesiastical structures hearkening back to the late Middle Ages and Renaissance period. 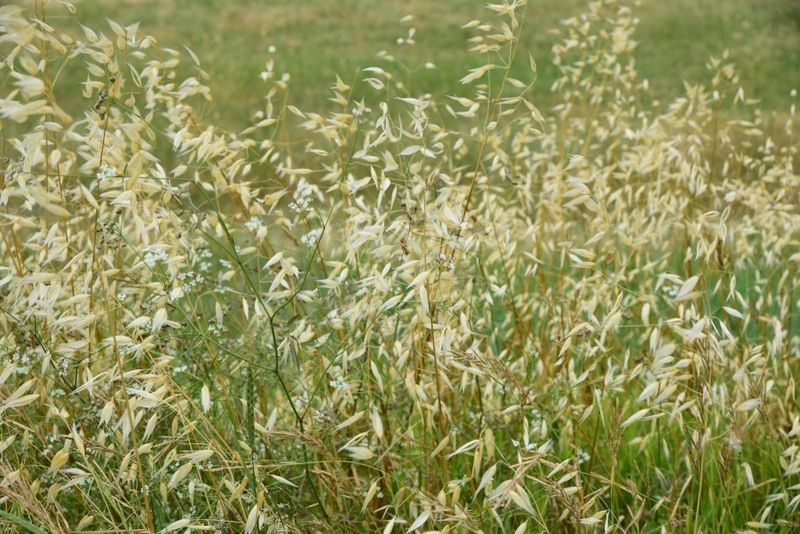 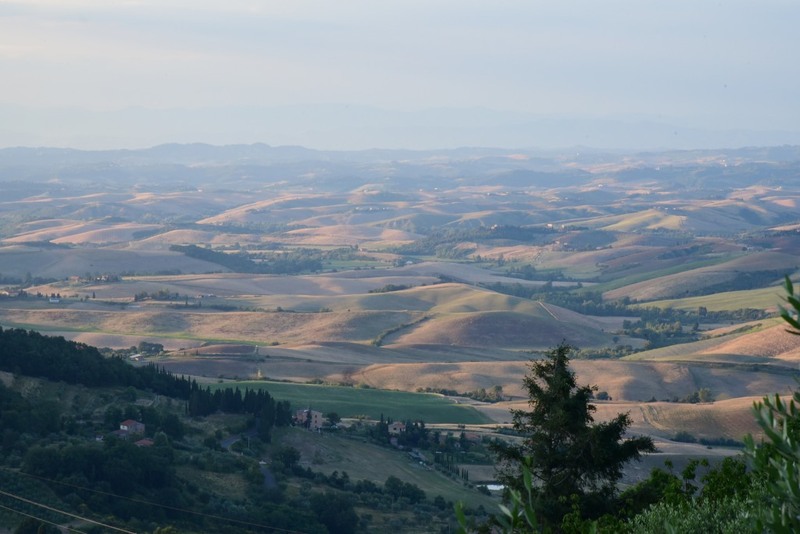 The landscape descends further to a panorama of low, rolling hills, barren except for the ubiquitous golden wheat fields. 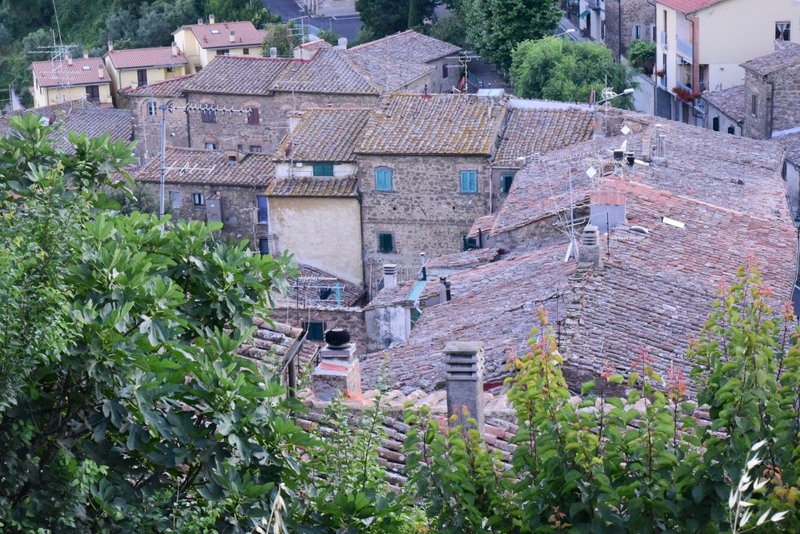 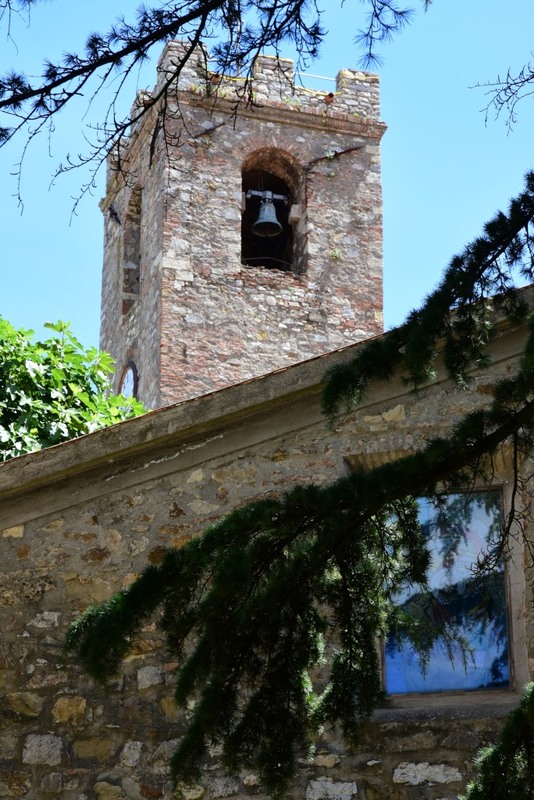 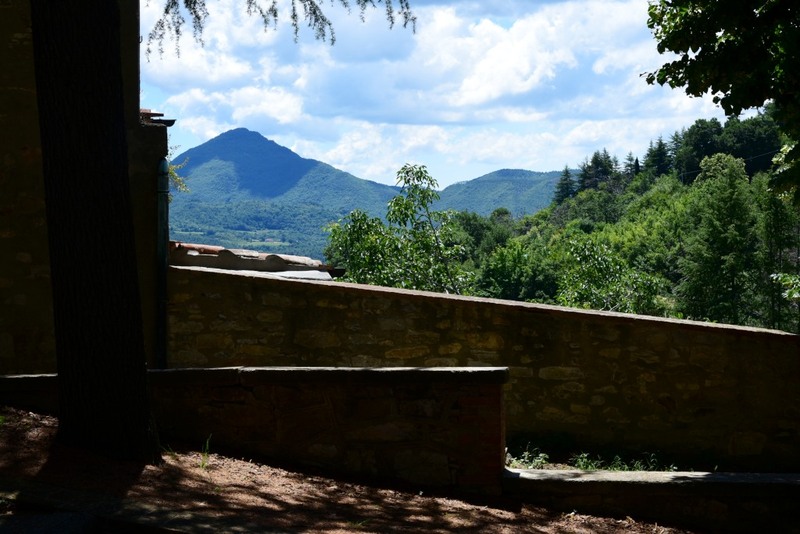 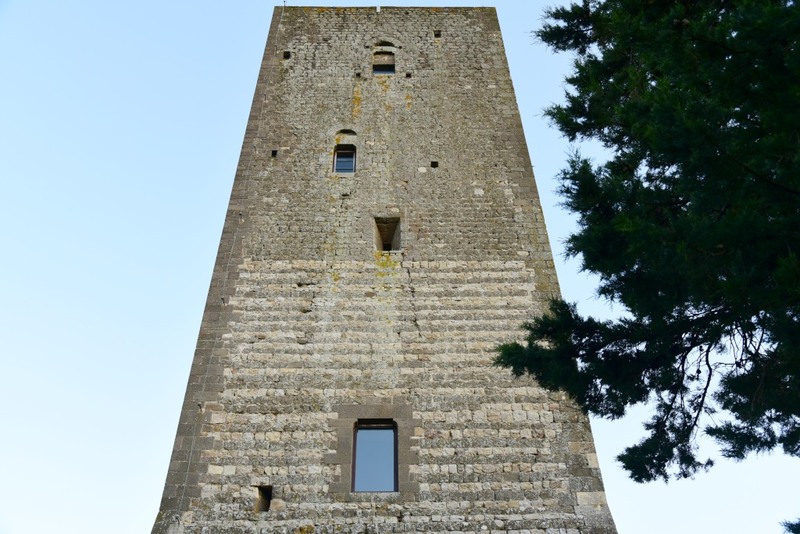 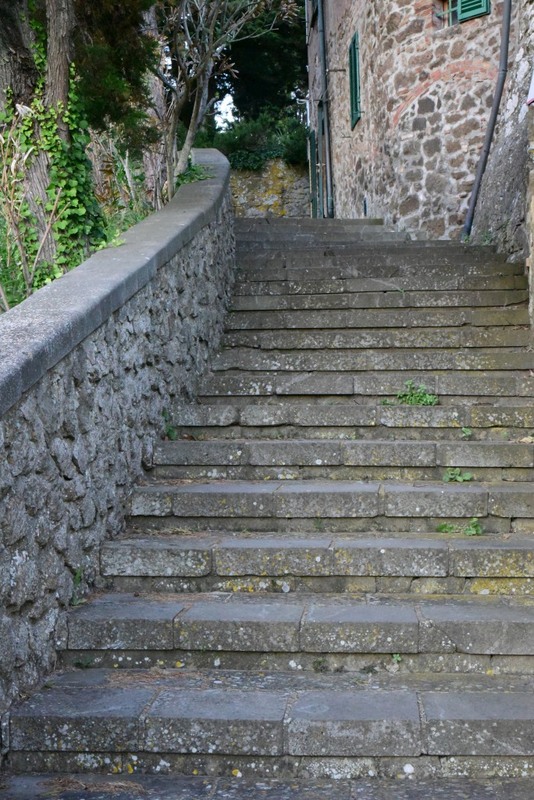 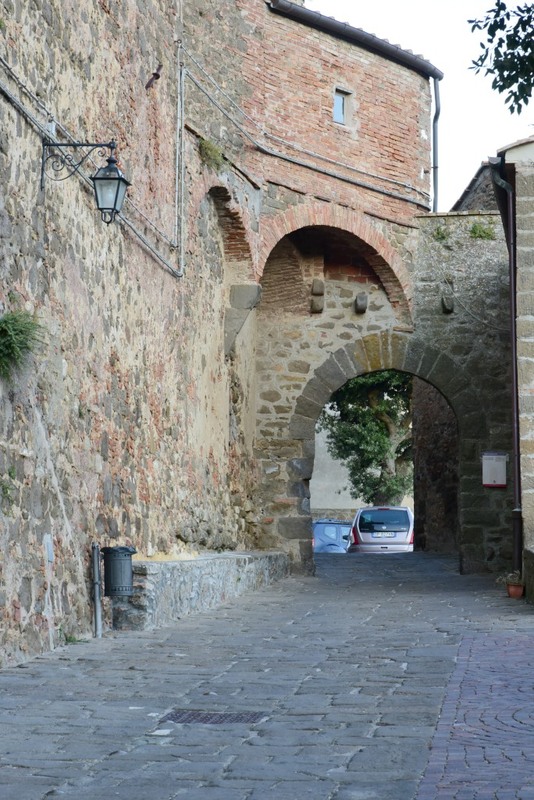 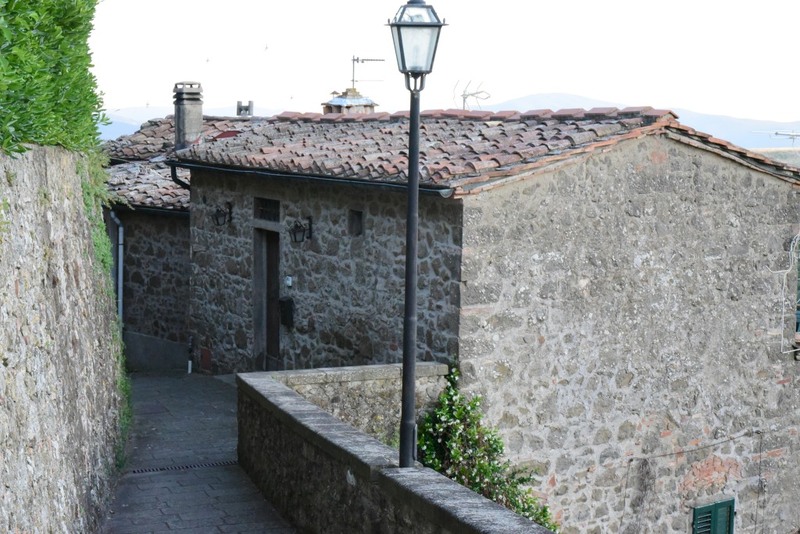 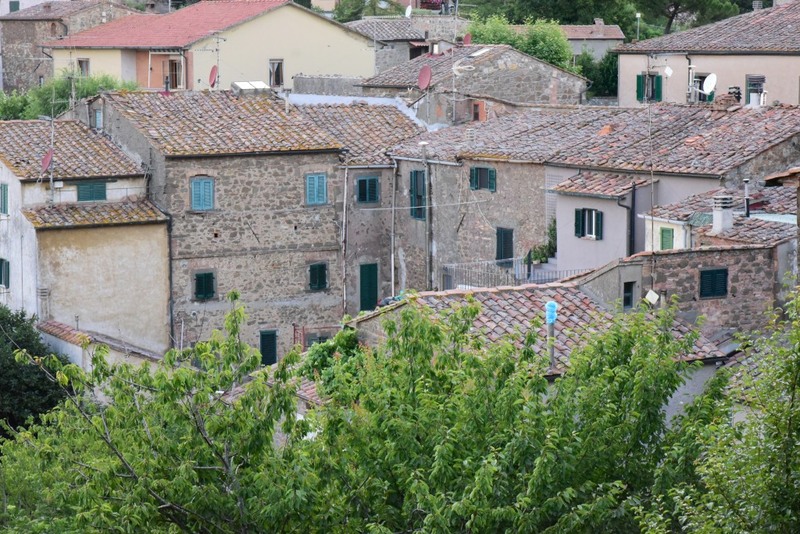 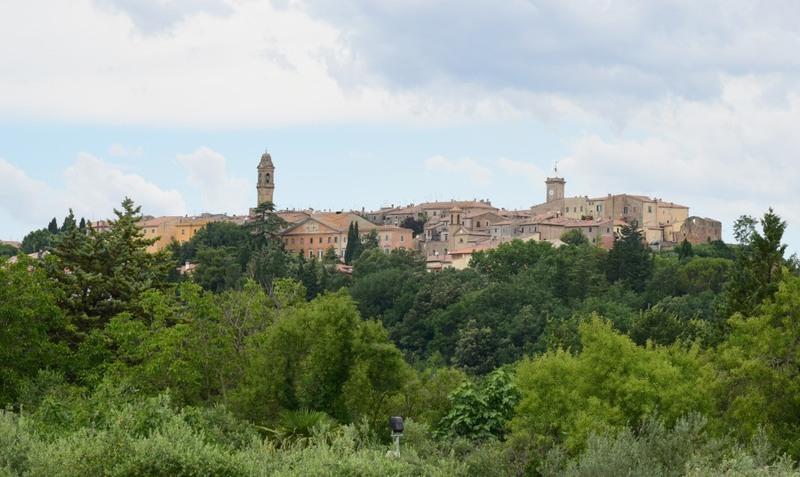 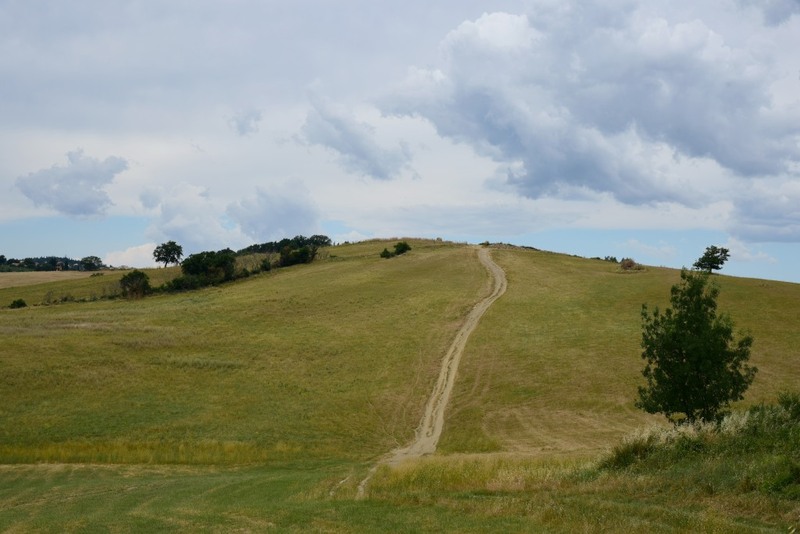 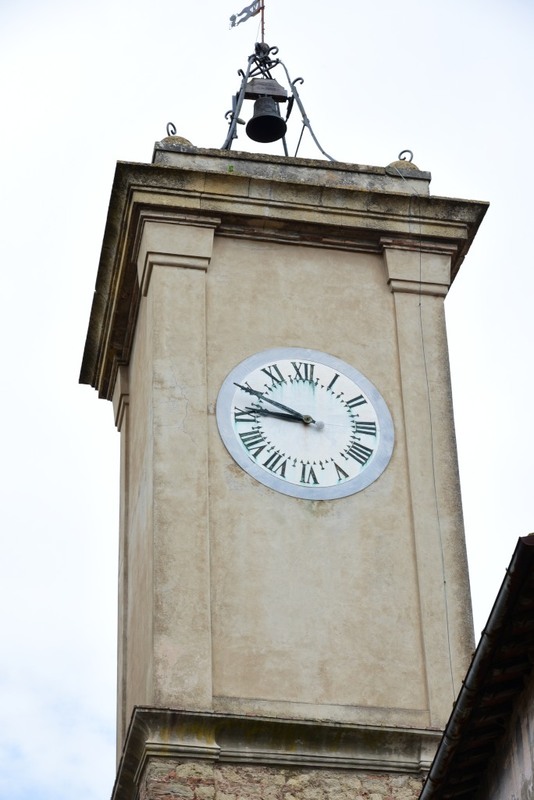 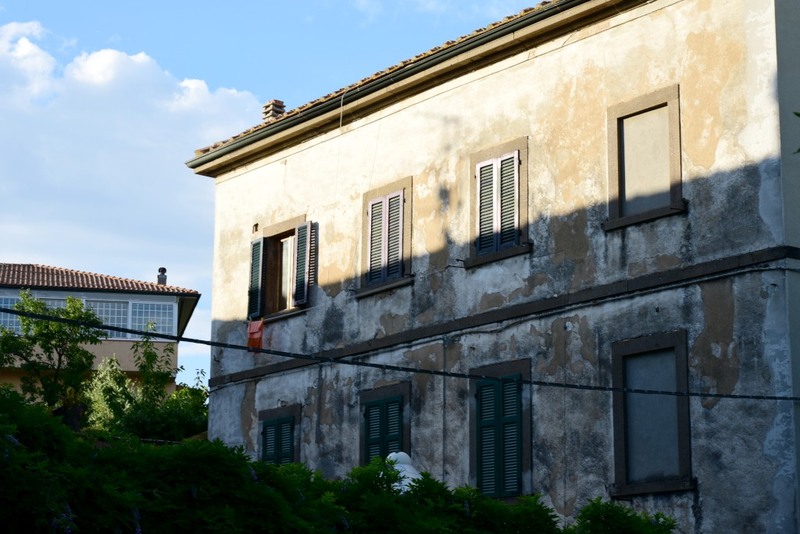 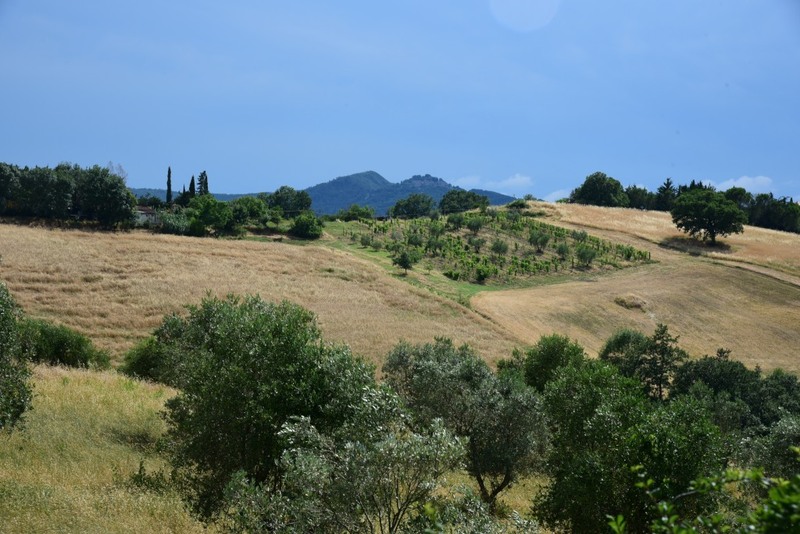 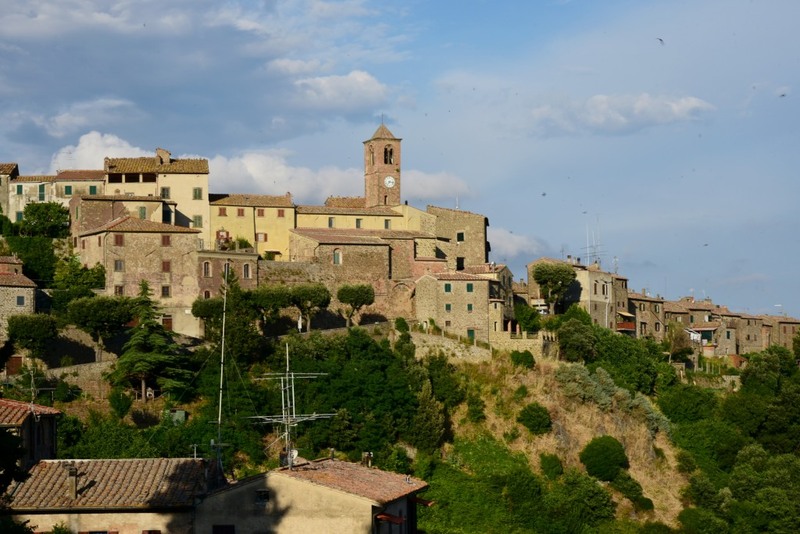 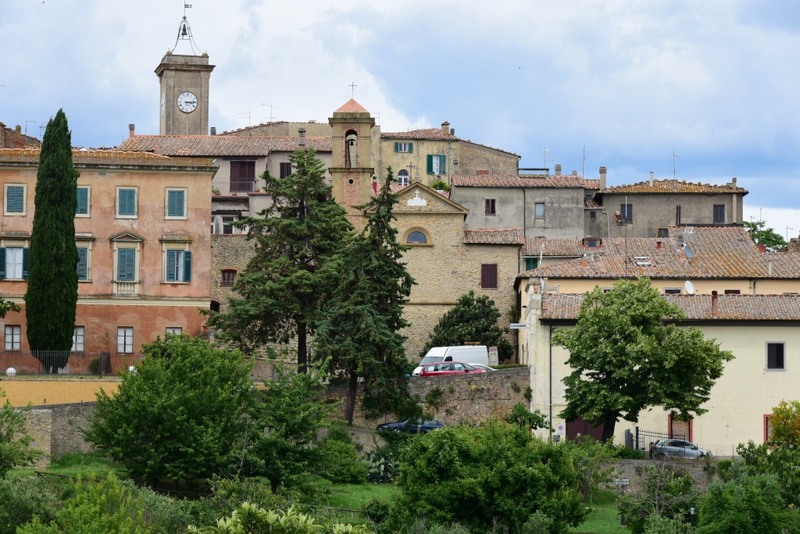 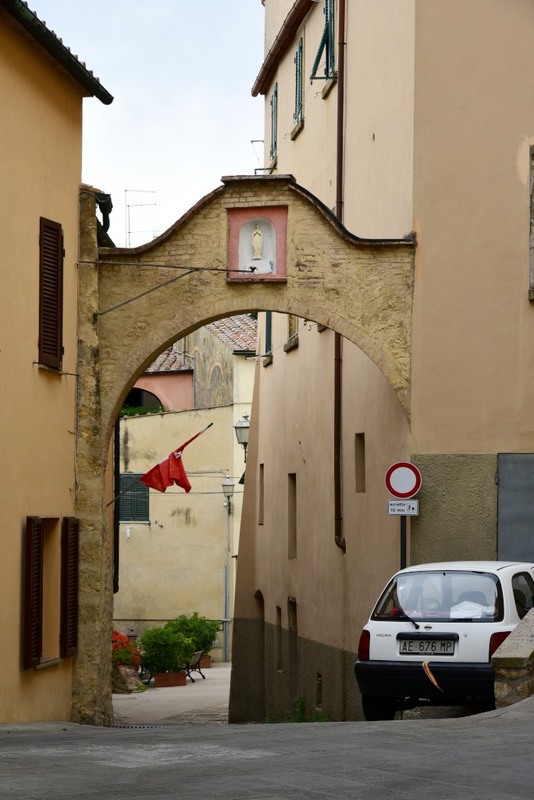 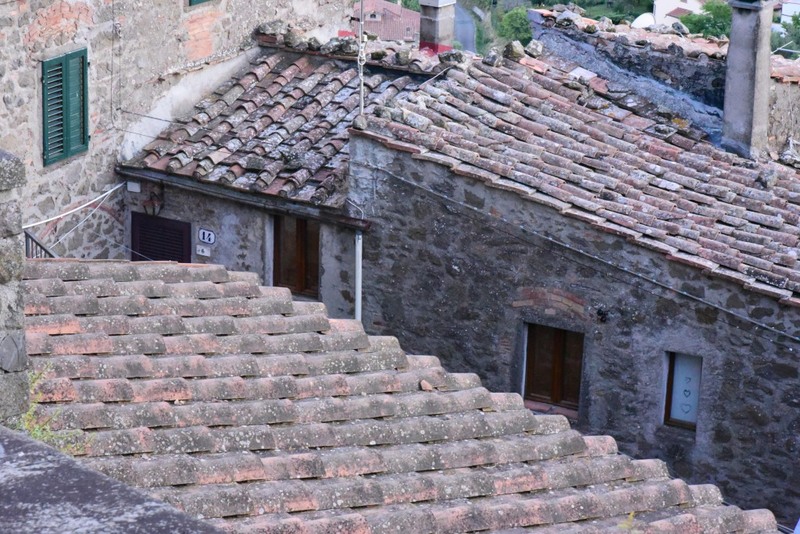 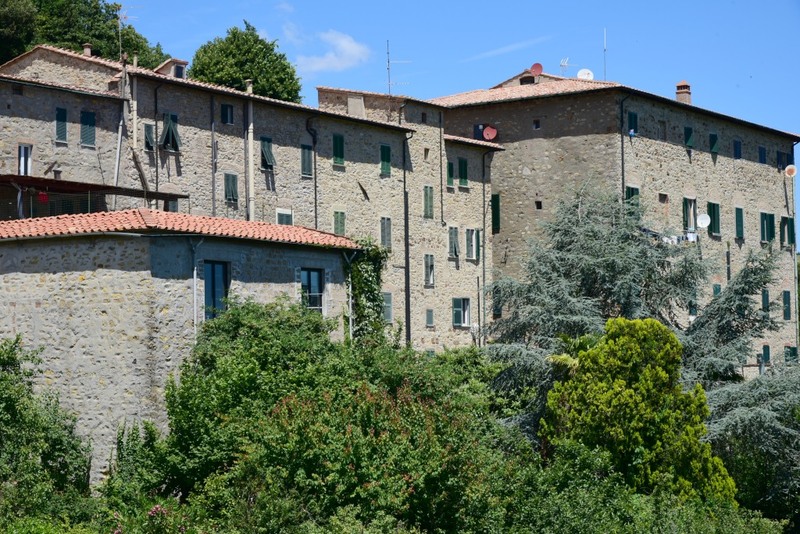 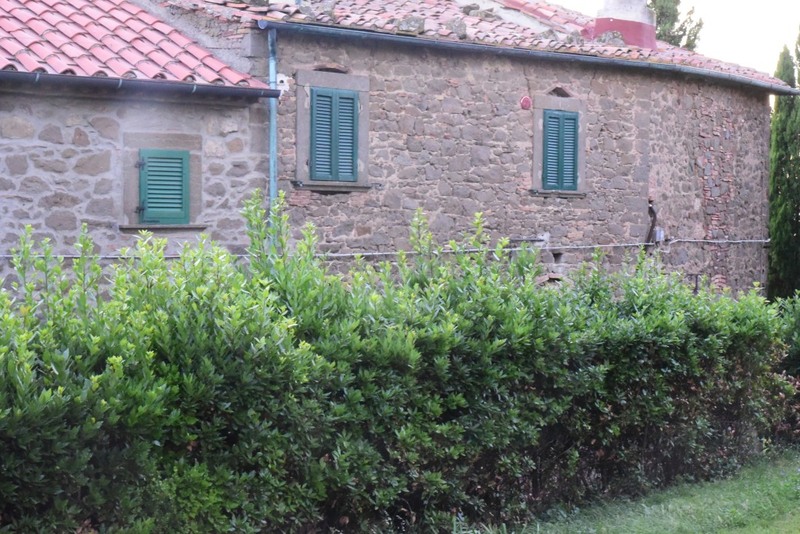 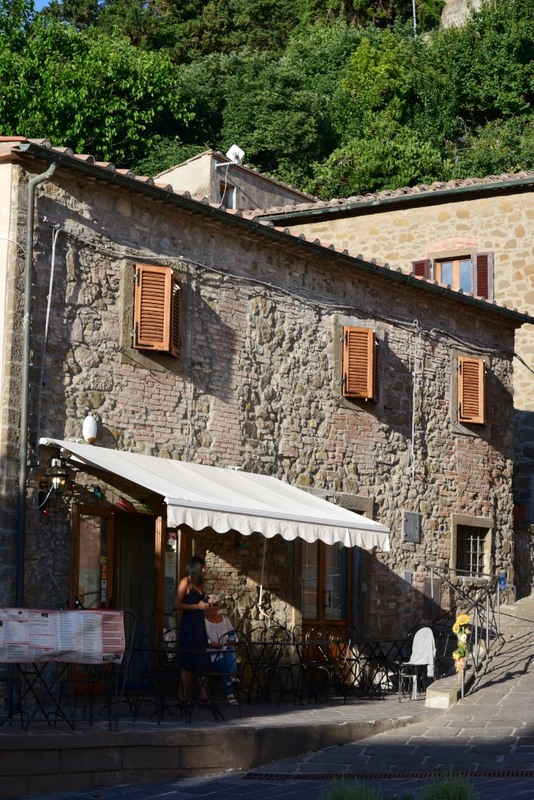 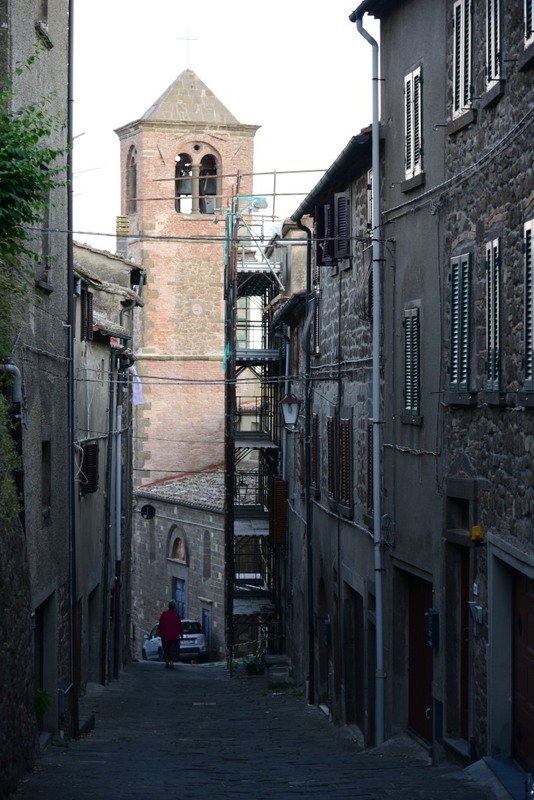 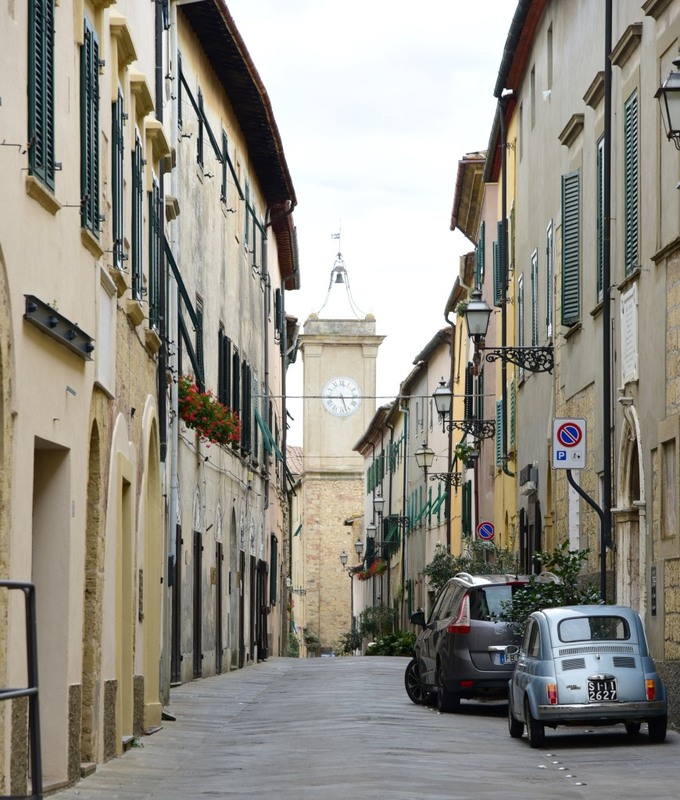 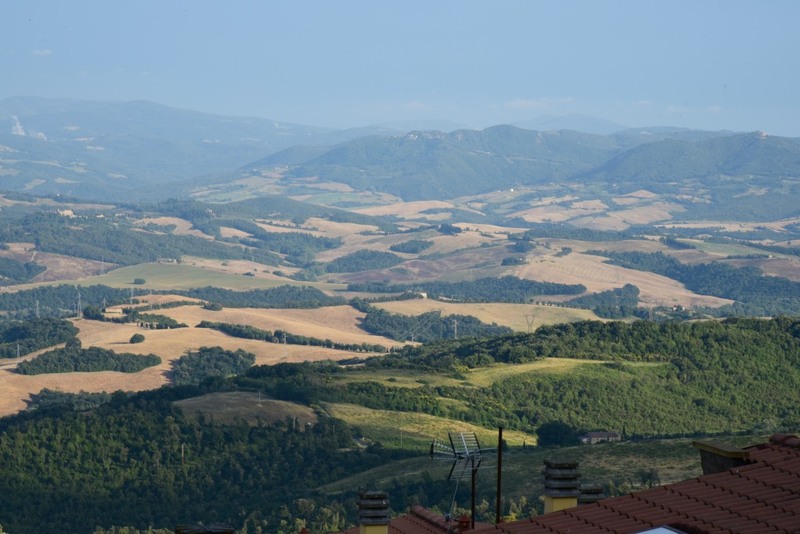 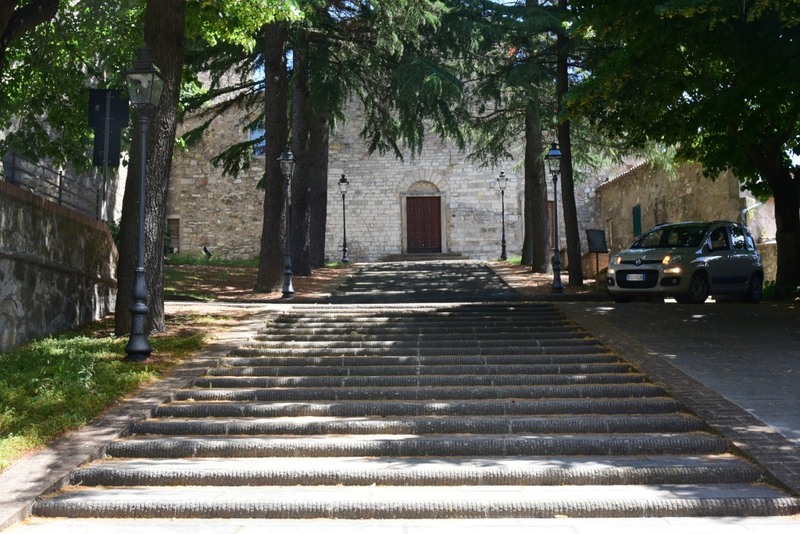 A last grueling climb to the top of a steep mountain brings me to Montecatini Val di Cecina, a medieval town overlooking the Cecina Valley and the larger and more famous Volterra, 15 km to the east. 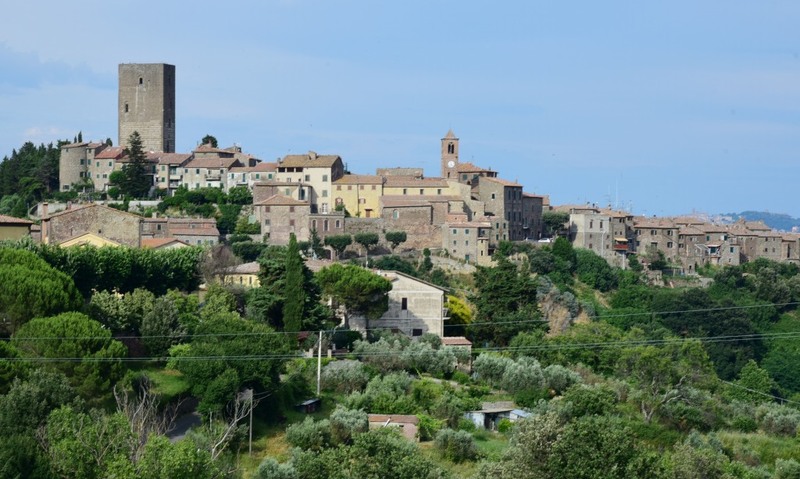 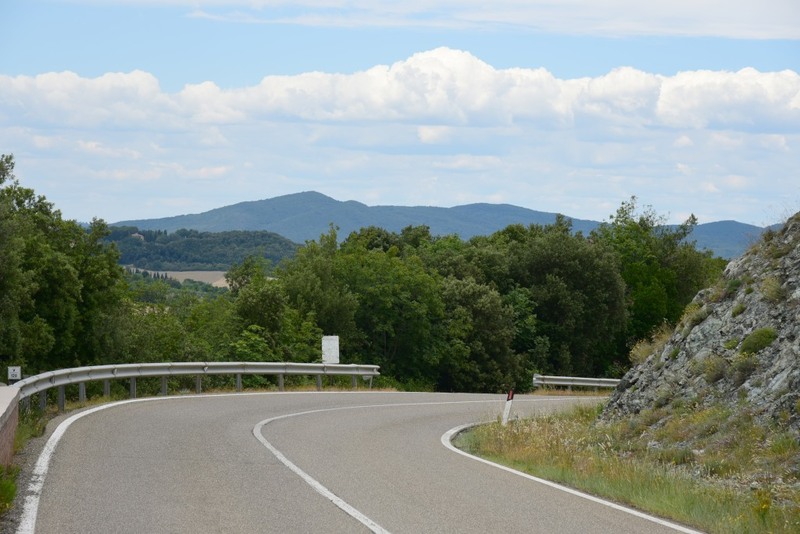 Montecatini Val di Cecina was first settled by ancient Etruscans, and later it served as lookout over road below in ancient Roman times. 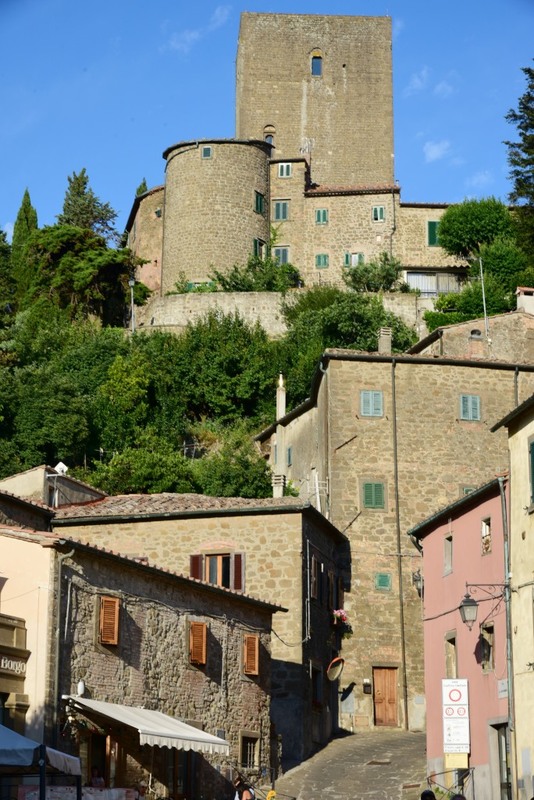 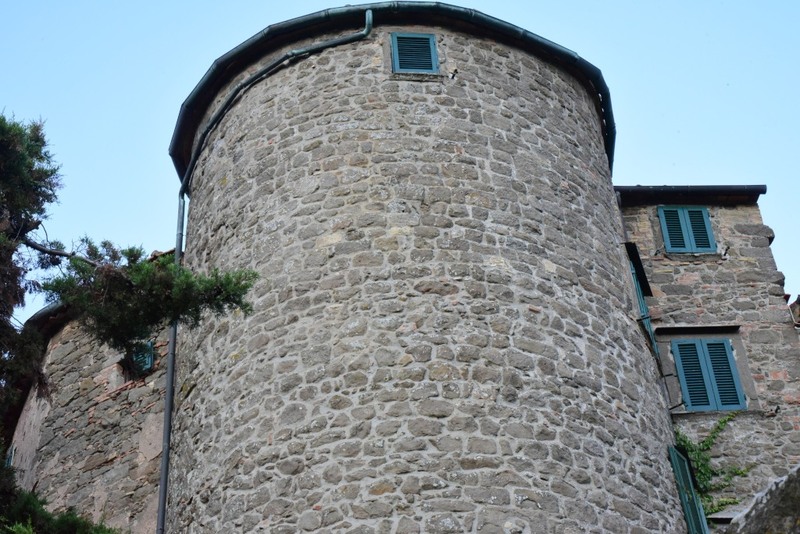 The town’s castle and tower were built in the Middle Ages by Filippo Belforti, whose family ruled the territory for about a century. 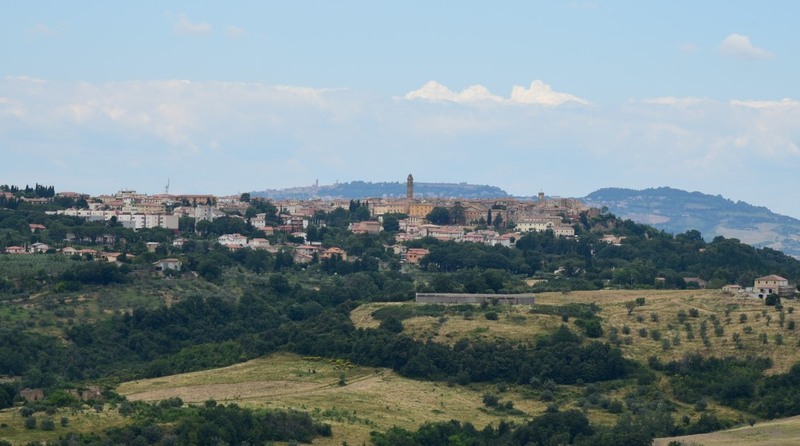 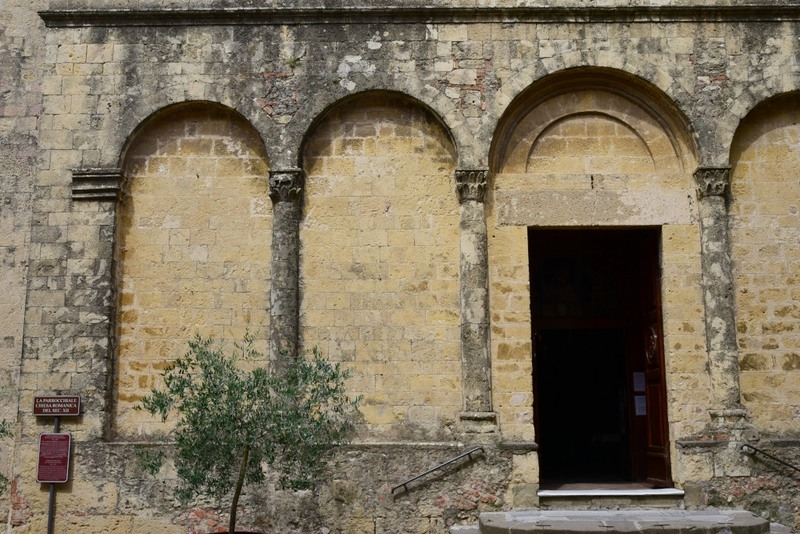 By mid-14th century, the town came under the rule of the Bishop of Volterra, and was subsequently absorbed into the Grand Duchy of Tuscany. 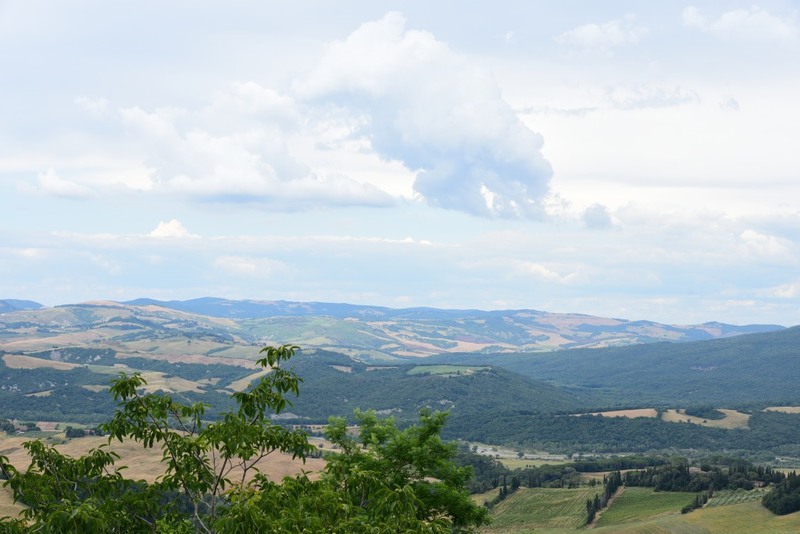 (Narrative excerpted from Wikipedia and www.visittuscany.com).